We thought we would get the year off to a good start by unveiling our newest resource: The Neonatal Donation Fact Sheet For Medical Professionals. We have been told several times by families that it would be helpful to have a one page fact sheet about donation that could be given to their medical care team to help explain what is currently available for potential neonatal donors. Other families have told us they wish they could go back to the medical professional who told them donation was not an option and give them correct information for future families. After receiving this input we decided it was time to create this much needed document. We were blessed to partner with several professionals in the donation world who gave valuable insight and helped us create this document. If you are a family currently carrying to term after a terminal diagnosis and are considering donation, feel free to print this fact sheet and give it to your medical team. If you are a family who had previously been given misinformation about donation, feel free to print this fact sheet and give it to the medical professional who may need more information about neonatal donation options. We hope this will be a valuable tool in raising awareness about what is possible for our tiny babies and that those who serve our families will have a greater understanding of donation options. 2014 has truly been an amazing year for Purposeful Gift. We have been blessed to see so many things happen this past year. Here is a recap of the major accomplishments for us and Purposeful Gift. In March we had the amazing opportunity to film Amalya’s story which was turned into a documentary for IIAM / MTF – if you missed it you can watch it here. We were also able to speak for the Indiana Organ Procurement Organization and for the University of Dayton. In April we were able to present during a webinar for the International Society for Organ Preservation. This was our first web-based presentation. In June we presented for IIAM in Las Vegas, NV at their bi-annual recovery workshop. In August we presented for MTF in New Orleans, LA for their leadership summit. Amalya’s documentary was featured during the meeting, which was awesome to watch in a room full of donation professionals. We also met Scotty, the researcher who used Amalya’s whole body (a highlight for 2014). 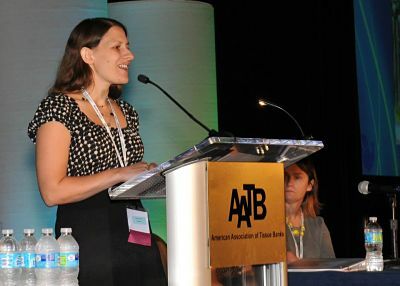 In September I (Bethany) spoke for the American Association of Tissue Banks at their Annual Meeting in San Diego, CA. I spoke to about 800 professionals from various positions in the donation world. In October I traveled to Boston and presented for the New England Organ Bank as well as three hospitals (Brigham and Women’s, Tuffs, and Boston Children’s). In November I went back to Las Vegas to present once again for IIAM at their recovery workshop. And finally, in December we applied for our 501(c)(3) nonprofit status and were granted approval by the IRS. We are thrilled to end the year as a fully functional nonprofit organization!!!! This year we also created several documents to assist both parents and organ procurement organizations through the donation process and make communication a little easier. You can find the documents here. We will also be revealing our newest document later this week! During 2014 we added six new stories of neonatal donation to our website. We LOVE adding stories and feel that the stories are one of the most important part of our website. Not only does this give parents on opportunity to brag on their child, but it also allows others to see the importance of neonatal organ donation. You can read these stories here. 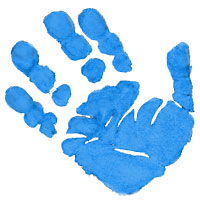 We also created a special page just for donation professionals and added a vast amount of information to that portion of the website. We are truly thrilled to look back at our 2014 accomplishments and we are eager to see what we will accomplish in 2015. If you have ideas on how we can improve, feel free to contact us. If you would like to make an end of the year tax-deductible contribution to help us as we grow during 2015 you can use our new pay-pal feature found here. We want to close by thanking everyone for the love and support during 2014. It has been an honor and privilege to serve both families and the donation community. The past few months things may have seemed a little quiet for Purposeful Gift, but let me assure you – behind the scenes things have been quite busy. Yesterday, we reaped the reward of one of our behind the scenes projects in the form of an early “Christmas Gift” of sorts… a letter from the IRS approving Purposeful Gift for our 501c3 non-profit status!!!! We are very excited to announce that we are no longer just a website, but a fully functional non-profit organization with recognition from both the state of Ohio and the IRS. We were granted our non-profit organization status from the state of Ohio back in November, but decided not share publicly until receiving approval from the IRS as well. Talk about a Merry Christmas!!! Our 501c3 will allow us to accept tax deductible donations and purchase supplies tax free. Our hope is that we will be able to continue to raise awareness and share accurate information about neonatal donation options, but on a much larger scale. We have several more things that we are excited about sharing in the next few weeks, including a new resource, so please stay tuned. We would like to wish you each a Christmas filled with hope and joy this year. As many of you know by now, I am extremely passionate about neonatal donation. I love bringing awareness to donation and allowing families to know what options exist so they can make an informed decision when it comes to donation. Although donation is not for every family, many find a special kind of healing from donation and view it as adding an extra layer of meaning to their child’s life when it is brief. Often when people think of donation, they think of organ donation for transplant and nothing else. Sadly, this type of donation has many complicated requirements which are often difficult for infants to meet. Thankfully, even if they are not the first to be thought of, there are several other types of donation that infants CAN participate in. Having a variety of donation opportunities allows families to make choices that best meet their needs and desires. It also allows more families to be able to participate in donation of some kind. Today I would like to highlight a very important form of donation which is often overlooked: donation of blood samples to research studies. Not many people think of donating a blood sample as participating in donation, but in reality, this is an important way of participating in donation and giving back to the medical and scientific community. One current example of such studies is the Hereditary Basis of Neural Tube Defect Study being conducted by Duke University Below is the description of their study from the study website. The Duke Molecular Physiology Institute (DMPI), formerly the Duke Center for Human Genetics, is currently conducting a genetic study, called “The Hereditary Basis of Neural Tube Defects,” to determine the causes of anencephaly and other NTDs. By studying families with anencephaly and other NTDs, they hope to identify the genes that contribute to the development of the neural tube. They hope this research will eventually lead to more accurate genetic counseling and risk assessment, improved treatments, better prevention methods, and possibly, a cure. What I love about this study is that it is simple and does not take much time. 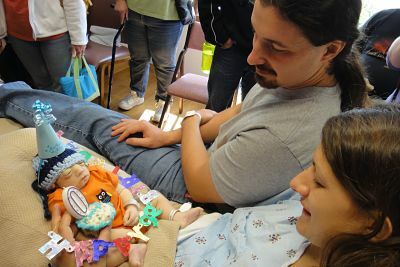 The family does not miss out on any time with their baby, if they make the choice to participate. The other thing I love is the fact that this type of donation can still bring an extra layer of meaning, healing, joy, and pride to a family that will say good bye to a baby shortly after birth. To help me show the importance of this type of donation, I have asked two moms to share their experience of participating in this study. Tuesday, June 14, 2011, Elise and I sat in my living room with Gabriel, still in awe that my anencephalic son was alive, against the odds, after having been born four days earlier with the terminal birth defect. The doorbell rang. A delivery man was on my doorstep. I passed Gabriel to Elise, his tiny brain exposed by the absence of skull and dressing. I walked into the kitchen and took a package out of my refrigerator, and handed it over to the delivery man. 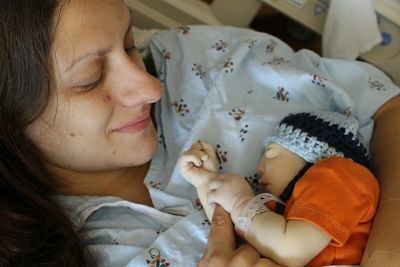 The package contained Gabriel’s umbilical cord blood, preserved at his birth, to be transported to Duke University’s Center for Human Genetics, now the Duke Molecular Physiology Institute, where it would be broken down and studied. There are a few things I know: 1. Losing a child must be the most painful experience on this earth. 2. No one, not one single person in this world, should ever have to experience such a loss. 3. My son died 6 days after that Tuesday, and his death was beyond my control. 4. Gabriel’s cord blood became part of the foremost study of anencephaly in the world, which continues to yield more information about the causes of anencephaly. Though Gabriel is gone, his legacy lives on in that study. There is a hope that sustains me: Someday, because my son died, another child may get to live. Saturday, June 14, 2014, three years after I submitted Gabriel’s umbilical cord blood for study, a group of runners gathered at the Rio Bravo Ranch in Bakersfield, California, 3,000-something miles away from Duke University to raise money for that same anencephaly study. Many participants wore mullet wigs in keeping with the theme, Gabe’s Magic Mullet Run, inspired by the movie “Joe Dirt” wherein the protagonist was born with a defect described as similar to anencephaly, but who is kept alive by a mullet wig given to him by his mother to protect him. As I stood in front of that crowd moments before the start of the race and shared with them why we were gathered, my heart swelled with pride. They were there running for the real-life mullet, the real-life answer to the mystery of anencephaly. They were running to find a cause, a treatment beyond palliative care, maybe even a remedy someday. They were running because my son lived. If only for a brief time, he still lived. His unique set of stem cells and DNA are his “footprint” in this world and, three years after his passing, he’s still making tracks. Where do you turn when you are told there is no hope? How do you get out of the darkness that it creates? You search for that hope. You find that glimmer of light in the darkness. We found out our son, Eli, had anencephaly at our 20 week anatomy scan. After the shock and some of the numbness wore off, my husband and I began to search for answers. We were surprised to find there weren’t many. As we are both registered nurses, this was very hard for us. We like answers. We like to know the facts. What went wrong? In my research, I stumbled across a study being conducted by Duke University. I was impressed with the study and immediately presented the idea to my husband. After discussing it together and then with my Obstetrician, we knew this was going to be part of the legacy we wanted for our son. A few weeks before Eli was born, the package containing the sampling kits arrived. I simply packed it away with all of the other hospital gear. A sense of purpose came with that package. Eli was going to be able to help others; give others the answers we were desperately searching for. It was so simple on delivery day. A blood sample from me, a sample from my husband, and cord blood from Eli. A small effort on our part to be able to give hope for answers. We completed the interview a few weeks later. The process was complete. Even though we were not able to save Eli, it is our hope the blood samples will help give better understanding of the disorder that killed our son. In the future maybe other families will avoid this heartache because of information that was found in Eli’s cells. This was the gift Eli that was able to give us: hope. 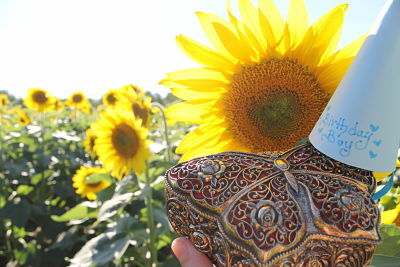 The gift does not have to be big to bring change, give hope, or save a life. One vial of blood can make a lasting difference. I want to send a special thank you to each family who has participated in some form of donation. You and your child are heroes. Thank you also to the researchers who are looking for answers, prevention, and cures and in the process has allowed our children to have a lasting legacy. Finally, thank you to Andrea and Aimee for sharing their stories. Visit our Donation Types & Facts page to learn more about the various types of donation that are available for neonates. Retinoblastoma: A rare form of childhood eye cancer often diagnosed between the ages of 2 and 5. Sadly, most of the children diagnosed with this condition end up losing their entire eye to treat the condition. Can you imagine your sweet little one losing their eye to cancer at such a young age? Thankfully, there are researchers who are trying to find a cure and better treatment options for this horrible form of cancer. But, they can’t do their research without proper tissue samples from donors. That’s where a special little boy named Thomas was able to make a lasting impact. Thomas was diagnosed in utero with anencephaly. His mother, Sarah, made the choice to carry him to term and after he passed away she made the selfless decision to donate his eyes, specifically corneas and retinas, to research. Just last week Sarah learned a little more about how Thomas’ tiny gifts have made a mighty impact. WAY TO GO THOMAS!!! Without this precious gift research efforts would have been stalled and so would the hope for children with this devastating form of cancer. I am often asked if donation to research is “worth it”… I think it is safe to say if you asked the researcher, or the parents of children with retinoblastoma, or Thomas’ mother you would hear a resounding YES!!! Research donation is VERY MUCH WORTH IT!!! Special thanks to Sarah for allowing us share this “proud momma” with others. You can read more about Thomas’ story here. *Note, it was recently brought to my attention that retinoblastoma can also be a deadly form of cancer, and does not just affect the eyes. This means that research is just that much more important and Thoma’s gift was truly a life saving donation!!! Earlier this month I had the amazing privilege of presenting for the American Association of Tissue Banks at their annual conference in San Diego, California. Nearly 800 donation professionals were in attendance. This was by far the largest audience that I have ever presented in front of. Despite my fears of speaking in front of so many people, I was honored to have the opportunity to share my son’s story, explain the importance of neonatal donation, and encourage the members of the audience to embrace future families. 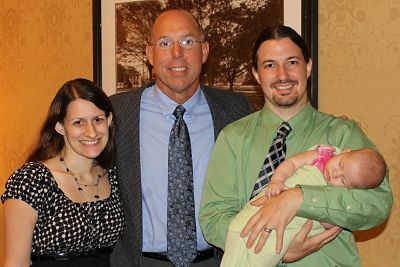 This conference was also special because I was able to present in conjunction with another neonatal donor mother. Although our stories contrasted in many ways (her son donated for transplant, my son for research; her son passed unexpectedly after just a few days of life, I knew mine would pass after only a few minutes; she had to embrace donation without time to prepare, I searched for donation options for six months), both our presentations had a common message: neonatal donation, whether it is for transplant or research, can bring healing to the donor family, can add an extra layer of meaning to a baby’s life that is brief, and will ultimately save the lives of other children. The response to our presentations was amazing. 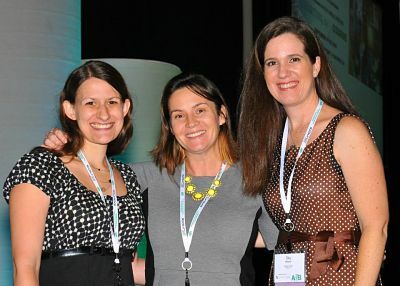 I am happy to say that many donation professionals were touched by the message we had to share and several expressed a desire to learn more about the new options that exist for neonatal donors and their families. I am thrilled to know that things are continuing to change for the positive when it comes to neonatal organ, eye, tissue, and whole body donation. More options for donation are becoming available every day and more organizations are beginning to support neonatal donation. Many organ procurement organizations are even creating special neonatal donor programs to assist families in a more comprehensive way. All of this translates into lives being saved, donor families being able to create a lasting legacy for their little one, and hopefully experience a unique form of healing. I am very thankful that the AATB allowed me to have this amazing opportunity to share my heart and passion on the topic of neonatal donation. This week I was also excited to learn that AlloSource, a tissue bank based in Colorado, decided to highlight our story on their educational page, Allograft Possibilities. Thank you, AlloSource, for this honor. September was a very special month in many ways and I’m eager to see what October will bring. Pursing organ, eye, tissue, or whole body donation after receiving a terminal diagnosis for your baby can be overwhelming. For many families, this is the first real encounter they have ever had when it comes to donation, besides maybe registering as a donor at the BMV. Knowing how to start the process can be difficult and very emotional. So, how do you start? Who do you contact? What should you ask? Parents come to us all the time with these questions. And, to be honest, when we first began our donation journey we had the same questions. In hopes of making the process a little easier, we created a document called Questions To Ask Your OPO. This form will guide you through questions to ask when you contact your Organ Procurement Organization and gives you space to record the answers that you are given. Obviously this form will not cover every questions that you may want to ask, but it will help you start the process and ensure that key information is covered in the conversation with your OPO to help you make an informed decision about donation. We also would encourage you to check out the other forms we have created which are found on our Resource Page. All of our forms and documents have been designed with parents in mind with the hopes of making the process a little easier. To learn more about pursuing donation for your baby, we encourage you to visit our Donation Steps page, or feel free to contact us with questions. Happy 2nd birthday in heaven, sweetheart! I want to take a moment on your special day to let you know how proud I am to be your momma. The Lord had amazing things in mind when He created you. Your life, although it was brief, had a mighty purpose. I can’t even begin to explain how much of an impact you have had on others. Although your daddy and I have greatly missed watching you grow over the past two years, and it is heartbreaking not being able to see you as a two year old reaching new milestones, I must say it has been incredible to watch as your legacy grow by leaps and bounds and learn about new milestones medicine has reached because of you. Little boy, you have filled my heart with so much joy and have enriched my life in countless ways. I never tire of sharing you with others and I continually thank the Lord for entrusting you to me. I want you to know that I miss you very, very much and I look forward to the day when I get to see you again. Until then, I will love you as much as I can from here and keep you close to my heart. No matter how many years pass, you will always be my special boy, my precious work of the Lord, given by God. Well, folks, have I shared recently that I’m one blessed momma??? If I haven’t, or in case you might have missed the last time I said it – I’m SO VERY BLESSED! As some of you might have already seen, yesterday (August 21) the Lord granted us another unique opportunity to share the story of our precious Amalya Nathaniel. We were highlighted in our local newspaper, The Dayton Daily News, in the Life section’s “Focus on the Positive”. It was printed in the actual paper, published on-line, and shared on the Dayton Daily News Facebook Page. I was very pleased with the write up and how the journalist portrayed our story. 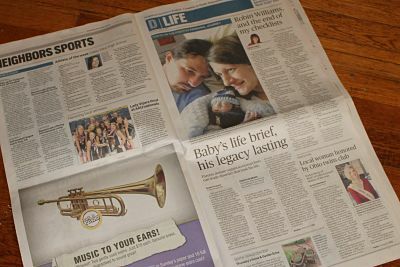 And, although it was nice to have my story featured, what I’m more excited about is the fact that people were able to read about the importance of choosing life, the importance of building a legacy for a baby’s life which might be brief, and that even the shortest of lives can have an impact on our world. I’m thrilled that there has been some awareness and attention drawn to anencephaly as many people do not know it exists, yet it has impacted so many of us. I’m ecstatic that people have now heard about neonatal organ donation and that some of those people might stop and ponder what choice they would make if faced with the heartbreak of a child passing at birth. I feel that this article was able to do so much more than just share my story… I feel like it might have given people a glimpse into many of our stories. Although I realize that most of the people who read the article will most likely quickly forget what they just read and go about their daily lives, I hope that for a few moments that the concepts in the article might have resonated with them. I hope that for a few moments they might have imagined what it would be like to carry to term, or to donate, or to say goodbye to a child… and… that maybe they will have compassion the next time they meet a loss momma or papa. Or better yet, that they can use this story as a tool to help the loss momma or papa that they meet. I hope that people will view our stories a little differently, and see that our babies are a blessing. I hope they have a new understanding that there can be joy along with the sorrow. I also hope and pray that the article might touch the heart of a family who is currently walking this road, and that maybe something in the article will help them as they make choices for their baby, or that it will simply serve as encouragement. Folks, once again I am blessed: blessed to represent the infant loss and organ donation communities, blessed that our story has touched others, and blessed that the Lord has chosen me to me Amalya Nathaniel’s momma! If you would like to read our article in the Dayton Daily news you can click here. Last Wednesday butterflies filled my stomach as I stepped off the elevator in my new dress and high heel shoes. (For those of you who know me well, you may be thinking the butterflies were wardrobe-induced since a fancy dress and heels is far from my typical yoga pants and flip-flops.) I squeezed Eric’s hand and said a little prayer as we turned the corner and walked towards the conference room. We had once again been invited to share the story of our sweet boy, our journey with donation, and the passion we have for helping other neonate families. But, despite the honor of being asked to speak, this was not the reason for my butterflies. As we stopped in front of the doors to the conference room, we were greeted by one of the organizers who smiled and said, “Oh, perfect! He just got here. Hang on a second.” Then, before I knew it, he was walking towards me, and all I could do was throw my arms around him. Joy filled my heart as I embraced a man I had never met, yet felt so very connected to in so many ways; a man that I had prayed that I would have the privilege of meeting face to face. It was truly a surreal moment. So, who was this man? Well, his name is Scotty, and he personally cared for my precious Amalya Nathaniel for eight months during his “internship”. You see, Scotty was the primary researcher who used Amalya during his whole body donation. This man helped create my son’s legacy and allowed for his gift to become a catalyst to save hundreds of other lives. Unlike many researchers, Scotty took the time to get to know our story, and really get to know our son. He truly CARED FOR Amalya, treated him like a tiny human being, and not just a “cadaver”. During conversation with Scotty, he referred to Amalya’s personality, and told us what a great man Amalya had become. In some ways, I view Scotty as a sort of “foster parent” to Amalya. He even ensured that Amalya’s blanket stayed with him for the duration of his internship, and made sure he had something special for Christmas. As a momma, my heart shattered when I had to say goodbye to my son for the last time. All I wanted to do was keep my son close and protect him. But, I wasn’t able to do that. After letting him go, I desperately desired to know that he would be taken care of, and that he would be used to the utmost, and that our sacrifice was not in vain. Scotty fulfilled my heart’s desire, and so much more. In many ways, I feel like Scotty knew Amalya as well as I did, maybe even a little more. I cannot even begin to put into words how this man has blessed my momma’s heart and how thankful I am for him. I love how the Lord orchestrated the perfect recipient for my son’s gift. During our time with Scotty, we had the opportunity to hear him speak and share about the ways they have been able to utilize Amalya and how his gift has made an impact on the medical community. And folks, let me just say, I was blown away! One thing Amalya was able to do was help Scotty get approval from the FDA for a procedure to take place in a new location and, from what I’ve been told, getting FDA approval is no small matter. I am not able to recount all the specific things Scotty and his team did (and are still doing) with what they learned from Amalya — the medical aspect was beyond me in many ways — but OH, I am such a PROUD, PROUD momma! Now, one very important thing to realize is the fact that families and researchers very rarely have ANY contact once a donation has occurred, and they NEVER meet. And I mean basically NEVER EVER… So this was pretty miraculous, to say the least. I am so very thankful that the Lord granted us this unique opportunity to meet the man who has done so much for us, and for our little guy. Scotty will always be dear to our hearts as he is part of our son’s legacy, and we are so very grateful. On top of getting to meet Scotty, we were also able to spend some time with our wonderful friends at IIAM (the folks who found placements for Amalya’s liver, pancreas, and whole body with each of the researchers, including Scotty). It is always a pleasure to spend time with and talk to these amazing people. 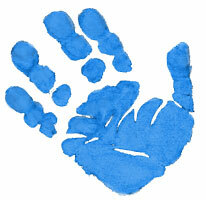 Last year we had the privilege of assisting IIAM as they created their Neonatal Donation Program. The goal of the program was to help other families with similar stories to ours. Since that time, I am thrilled to say that they have been able to help 26 other families! That means 26 other babies have been able to donate to research, some of whom would not have qualified for any other type of donation. That is 26 other little lives that have impacted the medical world in mighty ways. Who knows how many lives will be improved or saved because of these amazing gifts? I would also like to say a special thank you to each of these families who gave in the face of incredible loss. As I sit here tonight my heart is so very full. I would have never chosen this path, but I am so very, very thankful for the beauty we have seen bloom along the path of bitter-sweet. The Lord has taken death and allowed it to provide others with life. He has allowed us to embrace those who have cared for us in ways we never could have imagined and form amazing friendships. We are blessed, and so very thankful.